It’s finally happening: Sony today started rolling out Android 4.4 KitKat updates for its Xperia Z (pictured), Xperia ZL and Xperia ZR smartphones, as well as for the Xperia Tablet Z. All these were running Android 4.3 Jelly Bean until now. While some users may have already gotten the update, others will likely have to wait a bit - but they’ll definitely get it in the near future ("over the coming weeks", to be exact). Alongside Android 4.4 KitKat, the update also brings various enhancements to Sony’s native app portfolio, including Sony Media apps, Messaging, Email, Battery Stamina Mode, and the PlayStation app. Also added is compatibility with the SmartBand SWR10 (and the official Sony Lifelog app). Next on the list to get Android 4.4 KitKat are the following Sony devices: Xperia T2 Ultra, Xperia E1, and Xperia M2 -which should be updated starting July. Sony says that it will provide more details soon. Great ! What about the Xperia l? the much awaited update. i hope to get it soon here in the philippines. Anyone from India got this update? 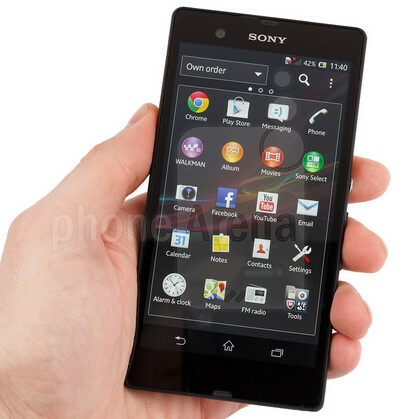 what about the xperia V, T, TX?? ?